Amid reports of a supposed “shortage” in supply of liquefied petroleum gas (LPG) in the country, the House of Representatives committee on energy chaired by Rep. Mikey Arroyo has scheduled a probe (on Feb 3) on the issue. 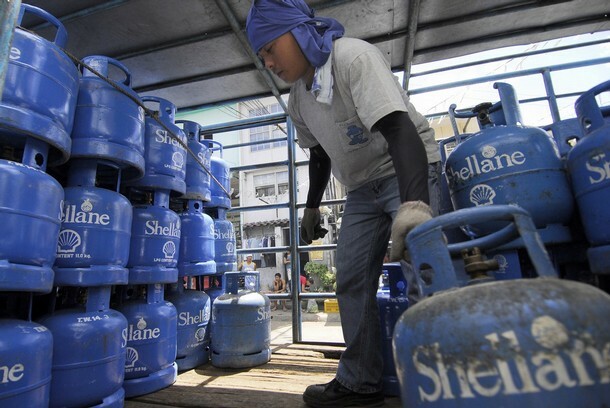 Meanwhile, the Department of Energy (DOE) has warned LPG dealers that they will be charged with profiteering if they retail their 11-kilogram (kg) cylinder tanks at more than P500. But these efforts of the House and the DOE are futile in the context of a deregulated downstream oil industry. For one, the de facto “price cap” imposed by the DOE on 11-kg LPG tanks contradicts the spirit of deregulation, which is to allow the so-called market forces to determine the prices of oil products. Interestingly, a quick check at the price monitoring of the DOE posted at its website will show that several LPG brands are in fact being retailed by more than P500. As of January 21, the Caltex LPG retails by as high as P520 in Metro Manila; Catgas, P525; and Philgas, P520. If the DOE is serious with its threat to penalize profiteering LPG retailers, then it only needs to look at its own price monitoring and punish the guilty firms. Then again, how can the DOE penalize oil firms retailing LPG at more than P500 when they can conveniently argue, as they have done many times in the past, that they have simply considered supply, demand, competition, and other market factors in their pricing? Secondly, any investigation on the reported “shortage” of LPG supply will only meet a brick wall if the House committee on energy will not recognize how deregulation has only strengthened the monopoly existing in the LPG market. Its apologists claim that because of deregulation, “new players” have significantly cut into the LPG market monopolized by the Big Three (Petron, Shell, and Chevron). But despite the entry of the so-called “new players” under the deregulation regime, almost 92% of the domestic LPG market is still monopolized by only four companies: Petron accounts for 37.8% of the local LPG market, followed by Liquigaz (24.6%), Shell (20.5%), and Total (8.7%). Petron acquired the LPG retail business of Chevron in June 2007 and now retails the “Caltex LPG”brand. Total, on the other hand, has a 15% stake in Shell Gas Eastern Inc. through a joint venture with Shell. Liquigaz is a local subsidiary of SHV Gas, the world’s largest retailer of LPG based in The Netherlands. Any issue about “shortage” should be adequately explained by these four companies. Any probe on lack of LPG must start on an investigation of these firms, which overwhelmingly control depots, terminals, and refilling stations and hold the widest network of dealers in the country. But will Rep. Arroyo and DOE secretary Angelo Reyes go after them or will they merely pin the blame on the small retailers such as the members of the LPG Marketers’ Association (LPGMA)? But going after these big companies is tantamount to an admission that deregulation has failed, the same policy that Mrs. Gloria Macapagal-Arroyo has vehemently defended against all odds. As long the downstream oil industry is deregulated, Filipino consumers will have no security in LPG and oil supply. Worse, consumers will continue to be hapless prey to abusive oil companies that charge overpriced petroleum. As of this writing, the country’s four biggest LPG retailers (Petron, Liquigaz, Shell, and Total) have already implemented an identical P2 per kg hike in LPG prices. They claim that the international (Saudi Aramco) contract price of LPG has jumped from $336.5 per metric ton in December 2008 to $380 this month.